Beale married Lucy Brown prior to enlisting in the army and raised six children. Because Beale owned thirty-eight slaves as well as farmland, he could provide for his family. (Of the slaves he owned, eighteen were male and twenty female, which included seventeen children and twenty-one adults.) Before he died on April 18, 1893, Beale saw his eldest son, George William Beale, marry and have children of his own. After the Civil War ended, Beale’s account of the 9th Virginia Cavalry was found and, with assistance from George, became the published version of History of the 9thVa. Cavalry in 1899. George wrote in the introduction of the memoir that it provided an apt recognition of his father’s service and the “Southern devotion and valor” of other soldiers belonging to the 9th Virginia Cavalry. 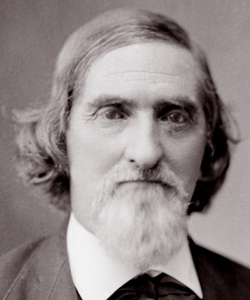 George was born to Richard and Lucy between 1842 and 1843. He eventually entered the Civil War alongside his father in Company C of the 9th Virginia Cavalry as a lieutenant. Much of his service can be found in his own memoirs entitled A Lieutenant of Cavalry in Lee’s Army (1918). Much of his account of the war includes letters to his mother, including one that discussed the “conflagration at Carlisle” on the night of July 1st. George and Mary A. Beale, married in 1879, raised five surviving children. George kept the Beale family’s prominence in Virginia, as seen in an address he gave in Montross, Virginia in 1910.